Pra Somdej Gampaeng Gaew Luang Por Jong Wat Na Tang Nork - released in Year 2504 BE, this Pra Somdej amulet is an exemplary exhibit, and extremely attractive in appearance. Luang Por Jong first began to make Pra Somdej amulets well into his trajectory around 2483, and continued up to 2507 BE, in the year before Luang Por passed away, in the year 2508 BE. This amulet is known as the Pra Somdej Gampaeng Gaew 7 Chan Pim Gaes Yaw Buddha in 7 Layered Crystalline Protective Celestial Walls. This classic and most beautiful Buddha amulet was empowered by Luang Por Jong at Wat Ban Kluay, in Amper Ta Wung, in Lopburi Province, in the year 2504 BE. Luang Por Jong (Wat Na Tang Nork), Luang Por Nak (Wat Rakang Kositaram), Luang Por Ngern (Wat Don Yai Horm), Luang Por To (Wat Pradoo Chimplee), Luang Por Nor (Wat Klang Ta Ruea), Luang Phu Ma (Wat Sutat), Luang Por Pae (Wat Pikul Tong), Luang Por Thin (Wat Pa Lelai), Luang Por Gan (Wat Khao Gaew), Luang Por Noi (Wat Dhamma Sala), Luang Por Chuang (Wat Pra Khaw), Luang Por Chom, Wat Dtaluk), Luang Por Kam Mee (Wat Tham Koo Ha Sawan), Luang Por Pring (Wat Bote Goeng Tanu), Luang Por Mee (Wat Khao Samor Don), Luang Por Chay (Wat Pha Dhamma Sopon), Luang Por Pan, Wat Payakkaram, Luang Por Dam (Wat Sao Thong Tong), Luang Por Say (Wat Laiy), Luang Por Sopit (Wat Ramparam), Luang Por To (Wat Saket), Luang Por Mora from Burma, who was staying at Wat Nikom, Luang Por Go (Wat Lad Sali in Lopburi), Luang Por Gep, (Wat Suan Lamyai, Chainat), Luang Por Tong (Wat Khao Jakkajan), Luang Por Jaran (Wat Ampawan), and Luang Por Khai (Wat Khao Wong, Nakorn Sawan). After the amulets he distributed depleted, this then caused his devotees, right up to this day, to travel to Lopburi to Wat Ban Kluay to seek this amulet. 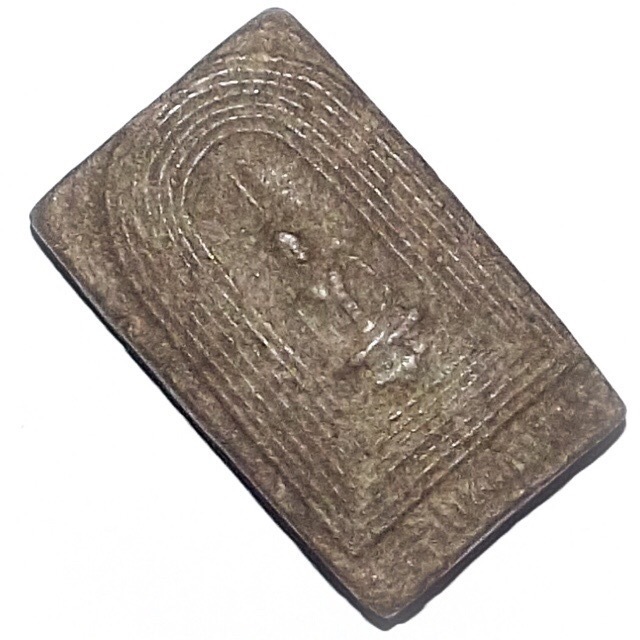 This is because many devotees experienced Miraculous results from this amulet, and it became yet another famous classic of the pantheon of amulets of Luang Por Jong. 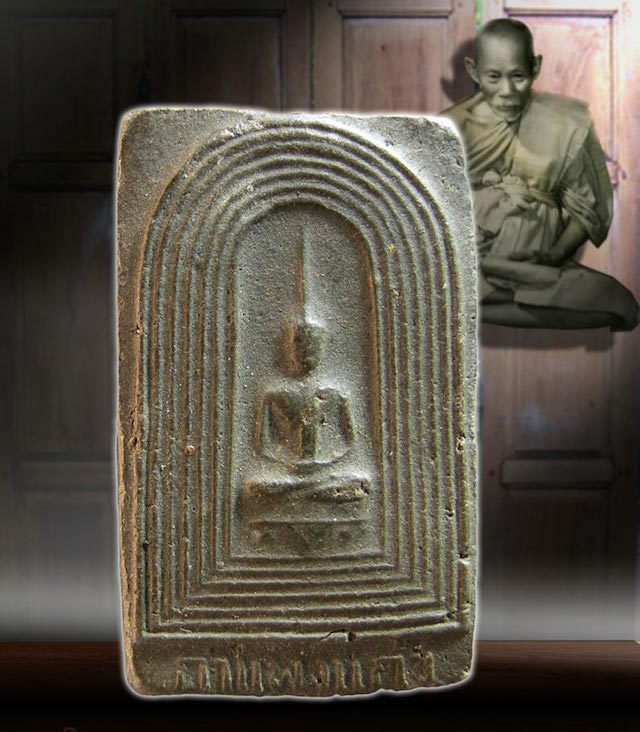 The amulet was commissioned by Pra Sopidhammasat, the Abbot of Wat Ban Kluay, to celebrate the casting of the Chor Fa roof struts of the Uposadha Shrine Room, and the Buddha Abhiseka Empowerment of the Pra Gaes Pra Gaew Buddha images of Wat ban Kluay. Buddha Abhiseka ceremony was held on the 25th to the 31st March in 2504. 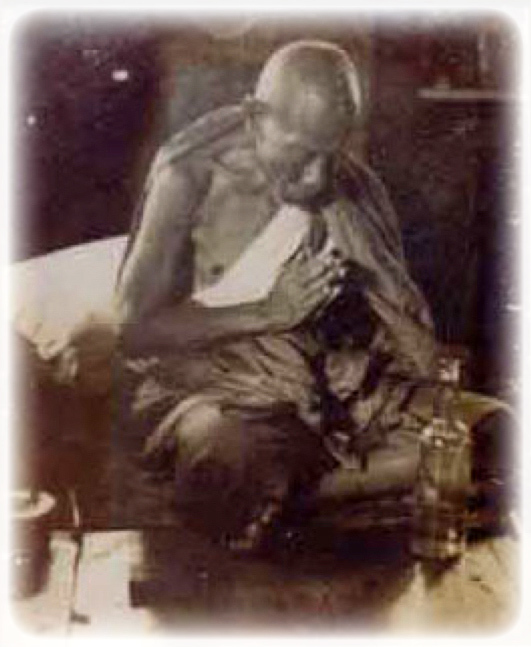 Along with this Pra Somdej Gampaeng Gaew, the editon was also accompanied by the Pra Somdej Buddha Bhumi amulet, and the Pra Kring Gaes Gaew amulets, which were also blessed beginning on 25th March, in the same Buddha Abhiseka. They were then empowered for 7 days and nights with meditative empowerment and Chanting. The surface of the votive tablet has a very dry and refined texture, resulting from climatological and atmospheric changes over the passage of time, revealing a subtle beauty to the relief features of the Votive Image, and reveals its distinguished age and pedigree. Below Pic; A true aficionado of Sacred Clay Amulets always examines the edges of an amulet, to judge its aging characteristics. A classic essential rarity and perfect Buddhanussati Heirloom Amulet with the Crystal Wall of the Buddhas and Bodhisattvas, Herukas and Daikinis, Garudas and Nagas, and Devas, providing a diamond armour adamantine body of protection, for Kong Grapan Chadtri Klaew Klaad Maha Lap Metta Mahaniyom, and Serm Duang Blessings, and a most exemplary showpiece for any collector's showcase. Luang Por Jong lived from 2415 BE to 2508 BE, and was one of the previous generation of attained Masters, of National and International Fame. Known for his Kong Grapan Chadtri Klaew Klaad protective amulets handed out to soldiers during the Indochina Wars, His Pla Tapian Maha Lap Kaa Khaay amulets are also renowned for their ability to instigate good commerce and prolific sales quotas with sales persons. His World Famous Yant Pla Tapian Ngern Tong - Maha Pokasap Lap Kaa Khaay Gold-Silver Fish amulets, are also renowned worldwide, for their ability to instigate good commerce and prolific sales quotas with sales persons. Recommended Uses:Protection, Anti Black Magic, Wealth, Evade Danger, Auspicious Karma.